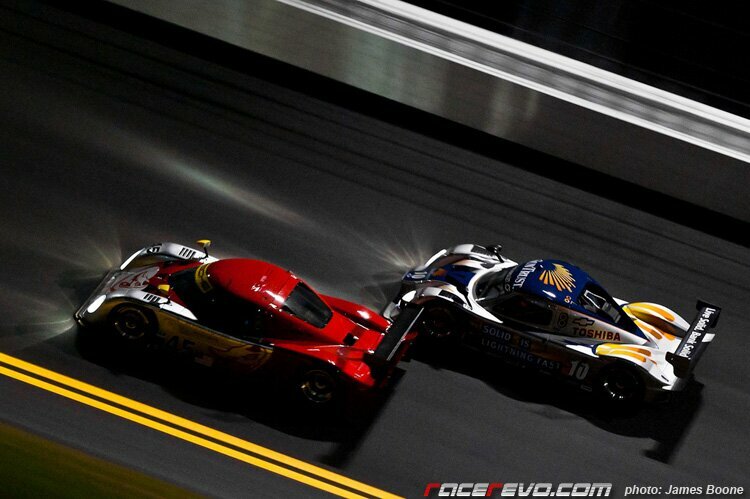 Our correspondent James Boone sent us great pictures from across continent before the annual Roar Before The Rolex 24. The three-day test featured a star lineup at Daytona International Speedway. Enjoy stunning selection of images from the test sessions. This is the first time at the Daytona on a new track. The three-day session is giving competitors an opportunity to prepare for the 49th edition of the Rolex 24 At Daytona set for Jan. 29-30. Ryan Dalziel fastest as Rolex 24 test wraps up, Dalziel will co-drive with Mike Forest, Colin Braun, Tomas Enge and Jim Lowe. No. 8 Corsa Car Care Ford/Rile shatters the Daytona International Speedway track record with a lap of 128.194 mph (1:39.973). Although the timing is unofficial. Watch this space when the race goes green! Stunning set, wish had more coverage in this part of the world, endurance racing has been more interesting than ever, what are the specs of this car, anyone?